Last weekend, Heather and Mr. K took New York City by storm! No one had to tell them to move a little faster or to keep up with the crowd in the bustling streets. They were simply too excited to check things out that they were the ones keeping the crowd moving. 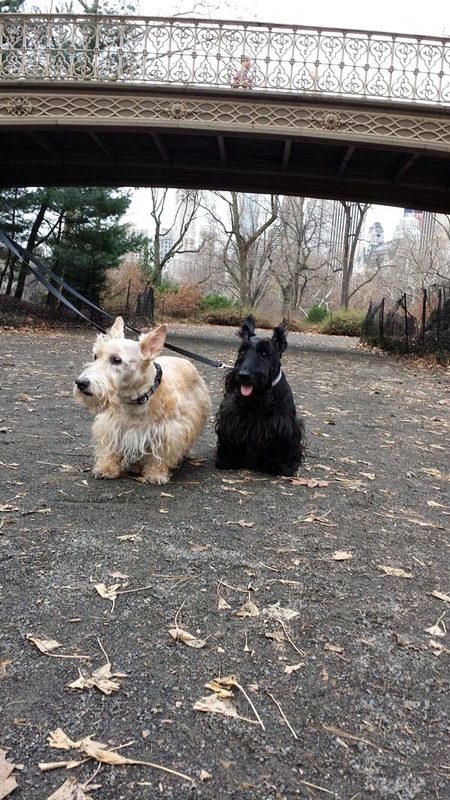 (Or, at least, they were the ones catching everyone's attention - so many people stopped and exclaimed how they had never seen a Scottish Terrier in person before.) 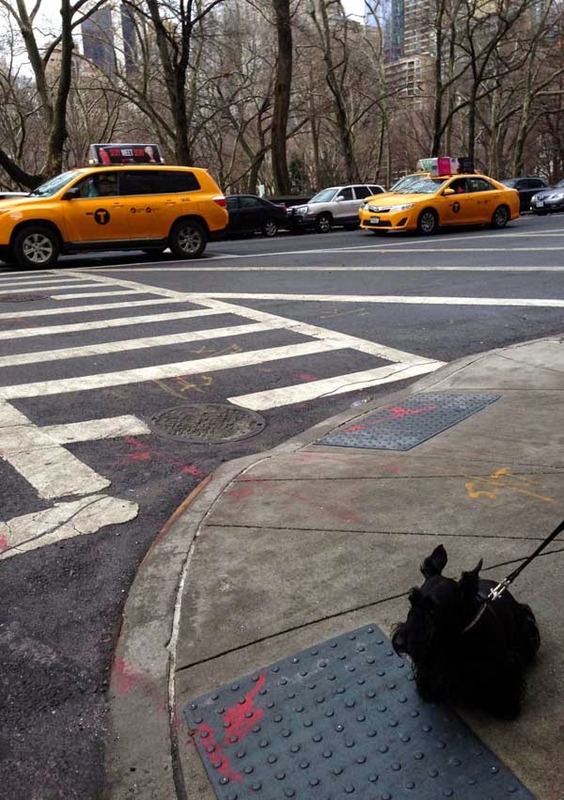 Surrounded by many sights to see, scents to smell and new things to pee on, Heather and Mr. K really and truly had a blast touring the city. Truth be told, New York City made the city of Atlanta, where Heather and Mr. K call home, look small and rather unpopulated. The difference in walking the sidewalks and exploring the green areas was astounding. Atlanta's Piedmont Park (you might remember it from when Heather and Mr. K reported on their visit there last year) cannot compare to the adventures waiting for dogs in Central Park. The buildings in New York City are rich in architectural character and there is a comforting mix of new and contemporary with old and traditional. Most of all, it was refreshing to be able to walk instead of having to drive from one destination in the city to another (although parking was nightmarishly expensive...it's good we didn't have to park more than once!). It's a shame there wasn't more time. We got wind of a few doggie boutiques and pet-friendly places that were a "must-see" but there simply wasn't room in the schedule. Rest assured, this was just one of many trips to the Big Apple to come, as Scottie Dad and I did finally choose a wedding venue in the city. (Hint: you can see it in the background of one of the photos above!) 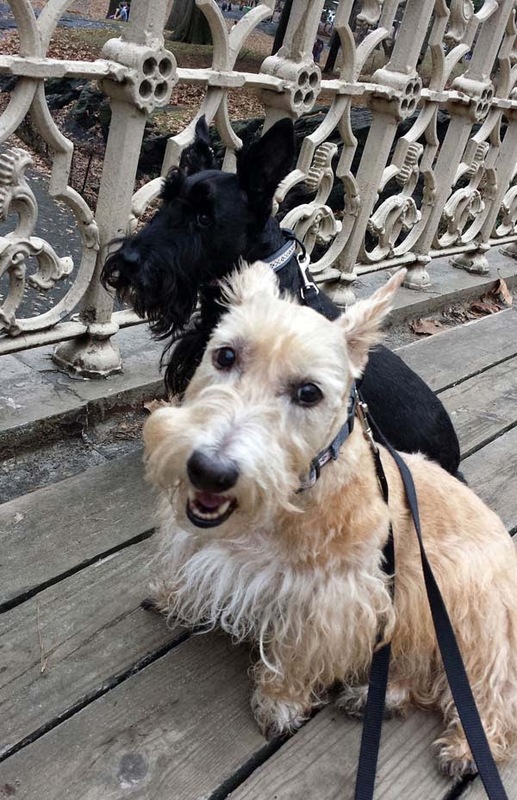 Our hope is that Heather and Mr. K will be able to visit all the places New York City has to offer dogs and report back on them. Who knows? 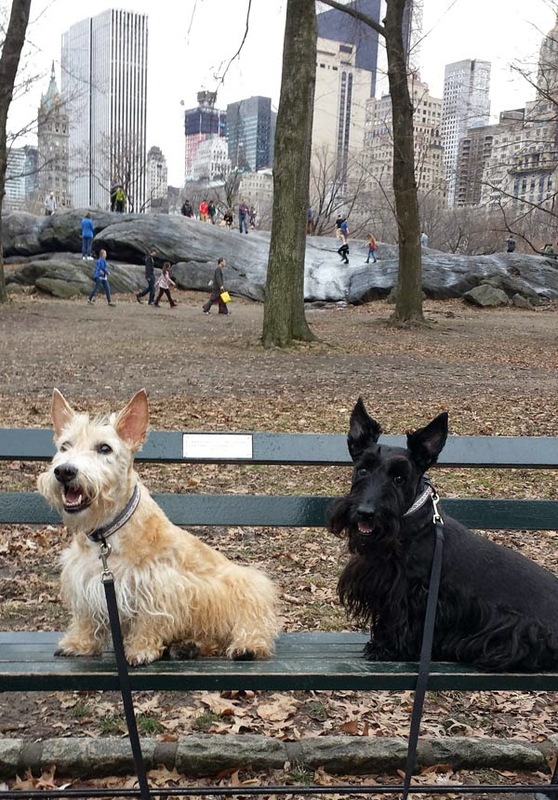 We might just stop and see some Scottie friends in places along the way next time. Holler at us if you're open to meeting up for a play date! Oh wow...city dogs! I bet everyone was stopping to comment on what lovely dogs you are! 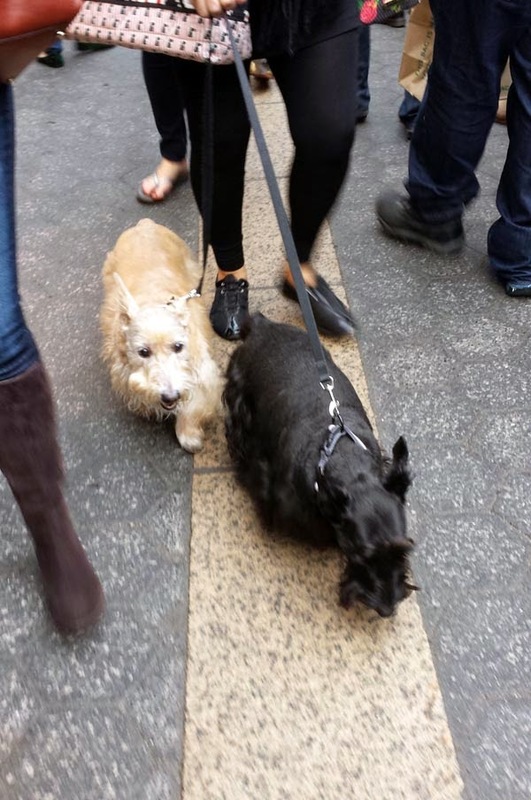 Does your peep have a scottie purse in the one picture? Has to be in Central ParK. Congratulations from a native Manhattanite! Heather Beather is certainly giving that horse the once-over ! What a fun trip for y'all. OH MY DAWGNESS!!!!! We're up for a play date the next time you're heading north up I-95!!!!!! We want to go to the big NYC, too! OK, the peeps have been there, said it sure was different , but we will stick with the country. Hey, did you guys get all gussied up for the Big Apple visit, you guys sure are looking awesome! 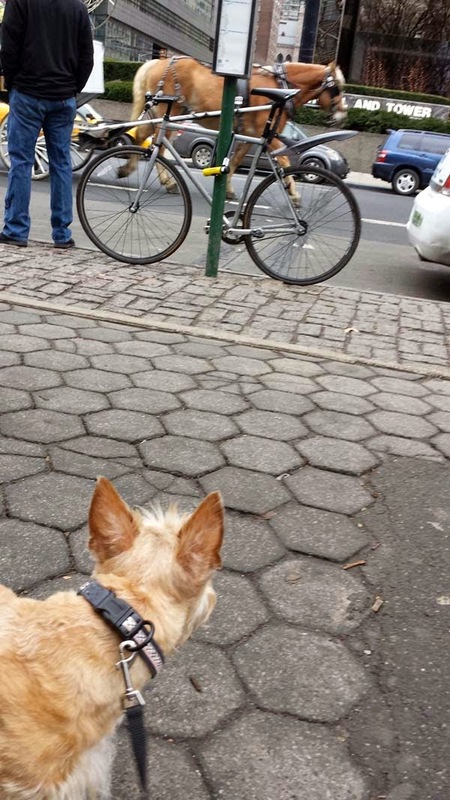 Wow, Big dogs in the Big city. Lucky pups! You two look like you're having a blast. 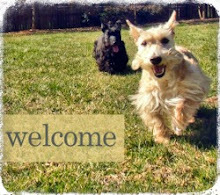 Hope next time you'll be able to visit a few of those fun doggie places. My male peep was born in NYC and His parents were married in the :Little Church around the Corner" (littlechurch.org). Wowies! I bet you guys got to sniff some great stuff! 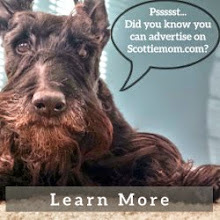 Love the adventures of your scotties!! wow! NYC!! my mum has never been there before! If you ever swing by the Great Plains, look me up! Fun! 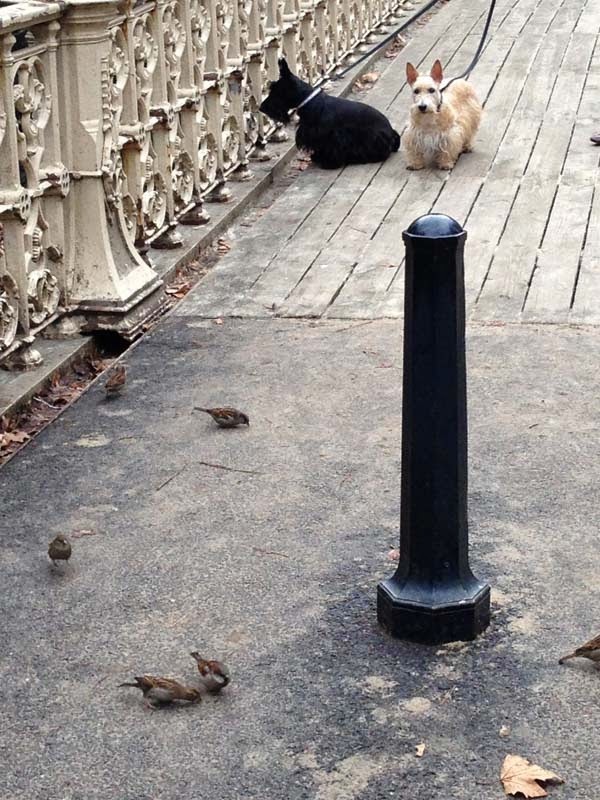 When I want to NYC last year, I so wish I could have had one of my dogs with me. I remember thinking specifically about how much fun Maya would have in Central Park when I saw that huge rock where you posed Heather and Mr. K.
Sounds like a fun trip! It always makes it easier when you find the places that are pet friendly.